You can enjoy nature on your walk to the Chapel, and take in some culture when you visit the chapel. Take some time to enjoy the peaceful harmony of this place, where the light shines through the colorful windows and creates a special atmosphere. You can also attend a mass, or take in a Christmas concert or other events. A visit to this oasis of peace is a worthwhile experience! Here's the our members favorite photos of "Churches in Edlbach". 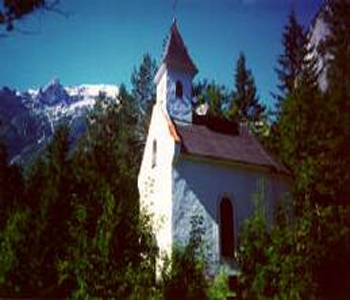 Upload your photo of Dietlkapelle Chapel!